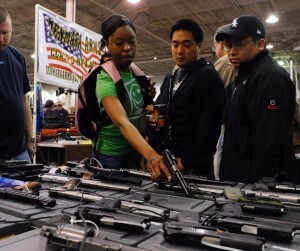 In the wake of a concerted effort by Democrats to “exploit” the tragedy in Connecticut to further their radical gun-control agenda, gun sales have skyrocketed across the country. I was quoted heavily in the resulting article. This entry was posted in Gun Sales, Virginia. Bookmark the permalink.